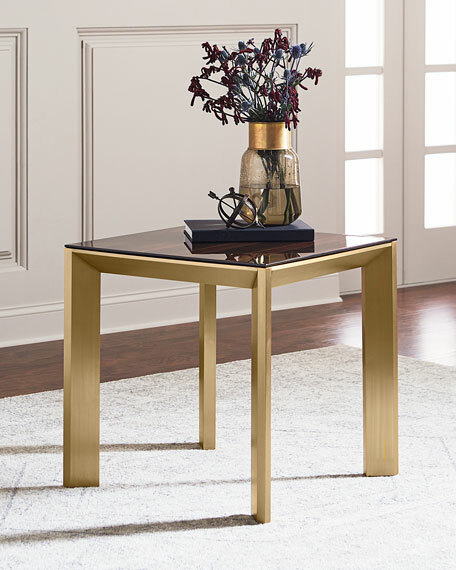 Bringing together a brushed brass base and a smoked figured eucalyptus surface, the side table is a true style-setting piece. 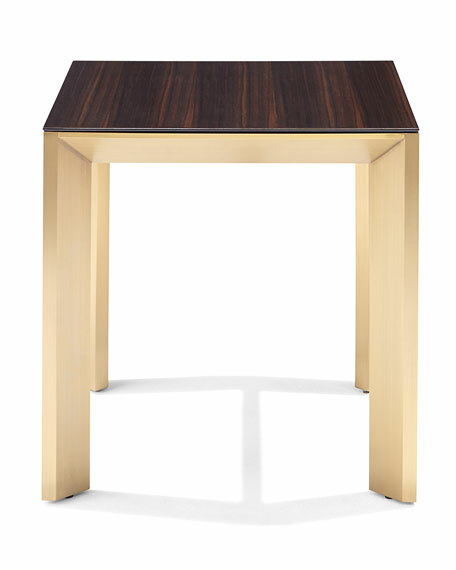 EXCLUSIVELY AT NEIMAN MARCUS Handcrafted outdoor side table. Powder-coated aluminum frame; natural, finely sanded teak top. Outdoor safe. 27"Sq. x 22"T. Imported. Boxed weight, approximately 36 lbs.